How often have you found that when it comes to Nail Polish price and brand name isn't always an indication of quality? I can't tell you how disappointed I get when I pay serious money for a high end nail polish only to see it chip on day 2. Yes Chanel I am looking at you! Kure Baazar are a really interesting brand, you could easily just look at these and think - high end, great shades and that's it. They do have great shades they do look high end but dig a little deeper and you will find them reasonably priced and super natural. In fact 90% natural believe it or not the formula's derive from Corn, Bamboo and Potato! They are as near to a natural polish as you will find anywhere. The Formula is TEN FREE, meaning that these 10 ingredients usually found in nail polish are not in this brand. I have tried another brands that are "Free From" but in all honesty on application you just know something isn't quite right. With Kure Baazar from the first application you know you have something quality on your nails. 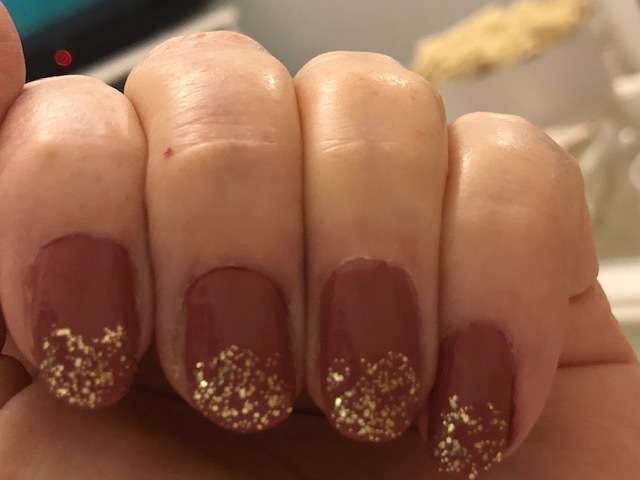 I have found this to last me almost 5 days without base or top coat, when I did a little arty thing for instagram using the Gold Glitter shade "Precious" on the nail tips over the shade "So Vintage" I managed 6 days, really quite impressive. One, Two & Three Coats.